Champion change to secure long-term success. It's time to embrace forward-thinking leadership which is crucial to your healthcare organisation's long-term success. We pinpoint the formula for engineering strategic change by leveraging the internal evolution of your growing organisation and the external forces of a shifting healthcare landscape. What makes change work? Dive into the future-proofing formula: an actionable, 3-part plan. The innovation checklist. Identify the essentials for robust technology that will support your success in the long run. Staying ahead of the curve. Prepare for the future of healthcare with must-have insights. 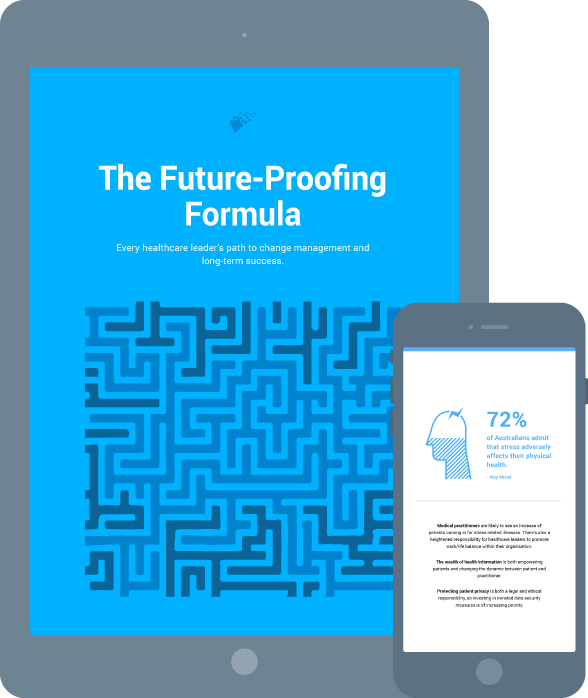 Simply fill in the form and we'll deliver your complimentary copy of The Future-Proofing Formula, straight to your inbox.